So in other words its in no way an independent network, just a network extension? #13 ✎ 173 CoinzReturns Update Alright, this week was crazy.. well what's new? I finally modified a smilebasic variable using an external process and was able to see the change. I still need to test if it's possible to do this while a SmileBasic program is still running but I think it is. I'll test now actually *dum dee doo doo testing testing* It works live. When using OPTION DEFINT line, the value will appear as 4 bytes. Persistently. This should be safe, as long as the initialization of the stack happens before anything else. It is possible now using cfw to manipulate variables in a running SmileBasic program from outside it using user-created code that runs much faster than SmileBasic does. This is really interesting. Is it possible to know which variable you're editing, other than having the exact address it's stored at? Or is it required that said variable is, for example, the first one used with SOMEVAR=WHATEVER? #18 ✎ 173 CoinzReturns Update Alright, I know I kind of vanished off the forums for a little while after the halloween contest and I haven't posted ANY news about SmileNet 2.0. I spent a lot of time dealing with uncertainties and confusion as well as basic life stuff, but I'm happy to announce some new progress today. A user by the name of Stary has been a huge help to me despite also sometimes being seemingly vauge they did infact give me just enough information at various intervals to move foreward. So what's the deal here? SMILENET with TCP is a go. 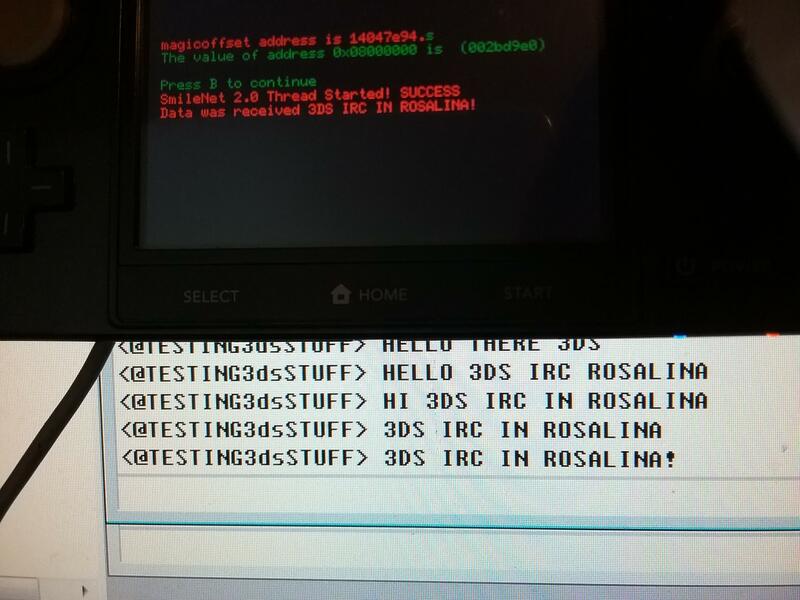 So far all I know is that I can send text characters in utf8 format between the pc and 3ds using SmileNet, on a stable TCP connection that has been bound. It means I won't have to resort to using an unstable connectionless SOCK_DGRAM connection (aka UDP) to send data. It also means that the connection should linger, for as long as the two devices can continue to be connected. It should be just as stable a connection as your local wireless. 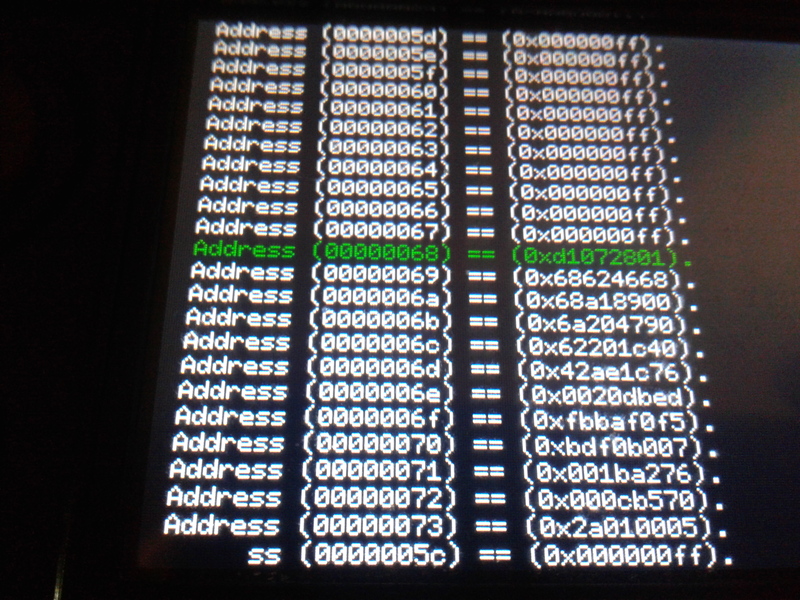 It also means, that so far.. well more or less it may be possible to have another 3ds connect to a different 3ds directly and rule out the PC as a middle man but I still want to make the first version use a PC as a middleman simply to ensure that I actually get this right. So yeah, from what I can tell my head has been filled to the brim and almost broken with Nintendo 3Ds dev Knowledge and I still barely understand how I even pulled this off, A LOT of help and perseverence. And Tears and sweat and sleep loss. THIS IS A DAY TO CELEBRATE for our community. Future Possibilities. Static file sending from PC over a network into SmileBasic is now a possibility. 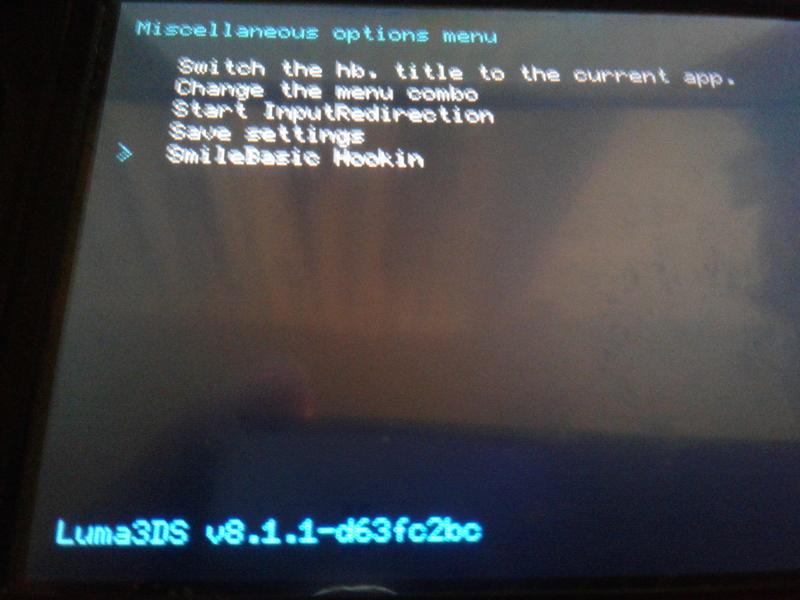 It should be possible to have one 3ds act as the host and another as the client, through a pc program I'll create. With extra work it might be possible to target multiple clients or only clients selectively from a list. All clients will still get the data but if the SmileBasic program is made to filter out intended client name or user then it should still work so in theory all clients will always recieve all data but the 'messaging' system built ontop of the base SmileNet protocall would allow filtering and selective send/recieve! It's now time to start unit testing and performing a variety of tests to see what is and not possible but I already know moving sprites in real time on a 3ds using a pc will be possible. As well as chats. Sounds amazing! People better get on developing for this once it's done.